MOUNTAIN VIEW, Calif. – Aug. 27, 2013 – Intuit (Nasdaq: INTU) today announced the launch of the Intuit QuickBooks Cloud ProAdvisor Program, a free program designed to help accounting professionals start and grow their practice using Intuit’s leading online financial and employee management solutions. The announcement was made at the 2013 Midwest Accounting & Finance Showcase in Rosemont, Ill.
A benefit of the Intuit QuickBooks Cloud ProAdvisor Program is free access to several of Intuit’s web-based products, including QuickBooks Online Accountant, Intuit Tax Online and Intuit Online Payroll for Accountants. The program also includes access to a “My Company” file in QuickBooks Online Plus for the accounting professional’s use and Intuit’s QuickBooks Online advanced product training and certification to further distinguish one’s online expertise. QuickBooks Online is the number one cloud accounting solution for small businesses, with 1.3 million paying QuickBooks Online users worldwide. 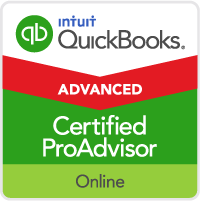 Advanced Training: Enhance your product familiarity and expertise as well as achieve certification for QuickBooks Online to make your practice stand out to clients and prospects. Referral Directory Listing: Attract new clients by listing your practice on the Find-a-ProAdvisor website and further differentiate yourself with QuickBooks Online certification. Marketing Tools: Create and launch personalized marketing campaigns for clients and prospects using Intuit’s marketing tools and co-branded templates. 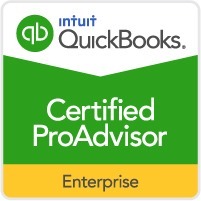 The Intuit QuickBooks Cloud ProAdvisor Program is available today and can be accessed at http://accountants.intuit.com/index-cloud-solutions.jsp. The program is free to new members. 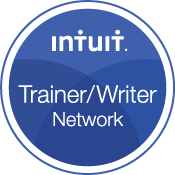 The benefits of this new Intuit Cloud program are included and available to current members of the Intuit QuickBooks ProAdvisor Program. 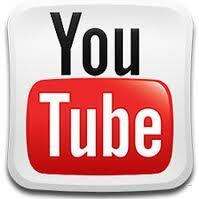 Founded in 1983, Intuit had revenue of $4.2 billion in its fiscal year 2013. 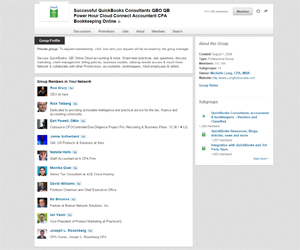 The company has approximately 8,200 employees with major offices in the United States, Canada, the United Kingdom, India and other locations. More information can be found at www.intuit.com. Thanks for the great post Michelle. 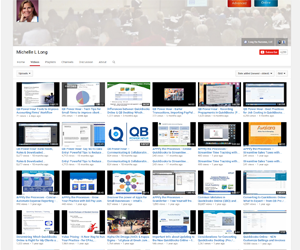 I’ve wanted to learn how to use QBO more effectively. 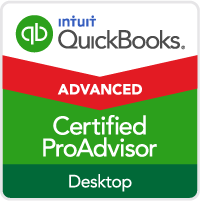 The course will enable me to better recommend the best version of QuickBooks to my clients; whether it’s the desktop version or QBO. Charlie posted a few articles on LinkedIn about this. Do you think that it’s beneficial to be a member of both ProAdvisor and Cloud ProAdvisor groups? The Cloud one includes Intuit Online Payroll and the other ProAdvisor doesn’t (unless I missed something). If you’re a ProAdvisor, you will be a member of the Cloud ProAdvisor Program too. I’m pretty sure IOP is an add on for either program. Michelle, do you feel that this will benefit, hurt, or not affect current ProAdvisors? Since members of the ProAdvisor Program already get all the benefits, I don’t think it will affect us much. I think it will help new ProAdvisors who want to focus on the cloud only.